Crabtree Switched Socket 1 Gang Double Pole is rated 4.9 out of 5 by 15. Rated 5 out of 5 by Bugsie from Double bonus Strong safe double socket. 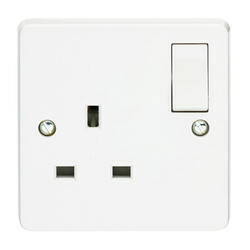 Rated 4 out of 5 by Mentm from Great value Brought this to match others sockets, great value and quality as expected. I would have brough the double pole version but they were out of stock in local branch. They appear to be a little stiff when inserting a plug hoping this will loosen a bit with use. 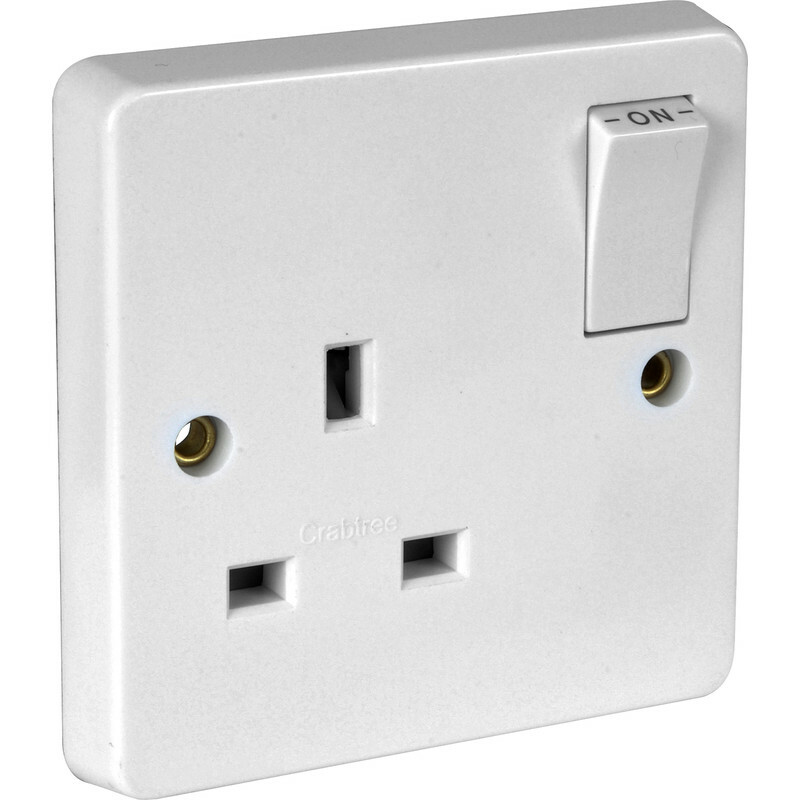 Rated 5 out of 5 by F G HOB from Crabtree is a reputable brand and met expectations A good switched socket - positive switches, easy to wire up (good sized terminals, clearly accessible and clearly labelled). Yes, recommended. Rated 5 out of 5 by LDM_Electrical from Best sockets When I was an apprentice my employer always used Crabtree... 28 years on and I'm still adopting his ethics of only using the best. Rated 5 out of 5 by nabil from Excellent quality Good plastic and the switch feels really solid. 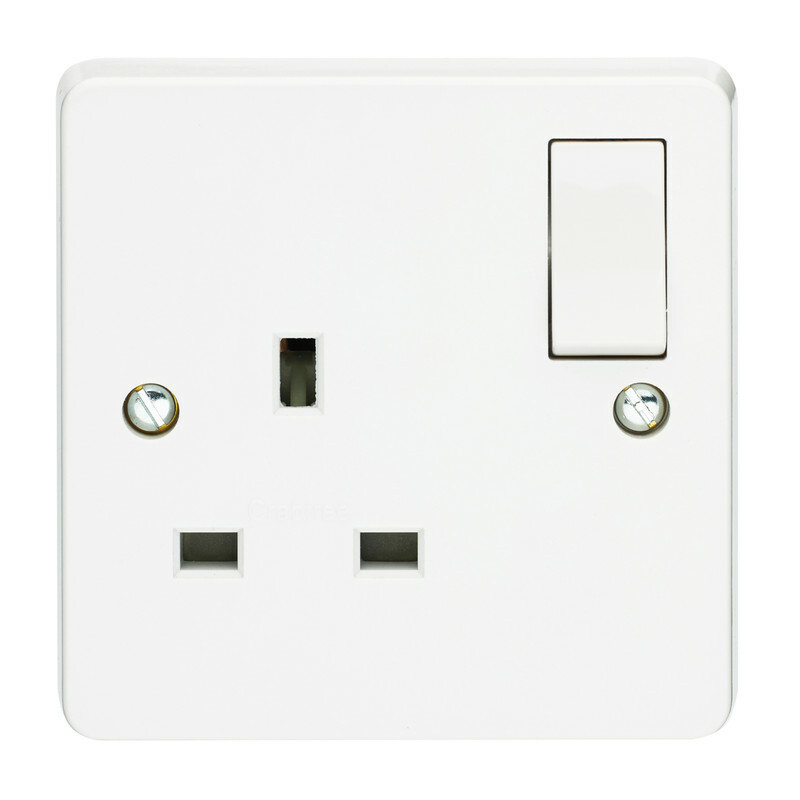 I used this to run a spur to my under stairs cupboard to plug in a cordless vacuum cleaner. It has two earth connectors but I only used the one. Overall, really pleased with the result and will buy another if I need it. Rated 5 out of 5 by woody24 from good quality. Look great, nice rounded corners.